From now on, we’re going to feature a blogger who is joining us for the first time to say “welcome” and “thanks for coming.” This week’s featured blogger is Sadia from Savory and Sweet Food. Sadia of Savory and Sweet Food likes to call herself a simple and blessed housewife. Behind this humble sentence lies a very passionate home cook and photographer who shares her passion for savory and sweet food with us through her blog. Holding a PG in Medical Biotech, this girl didn’t let her job come between her and her passion for food. Taking the help of her husband to manage the tech side of the blog, Sadia captivates us with her amazing range of dishes. Her Caramel Twix Pie blew us away! 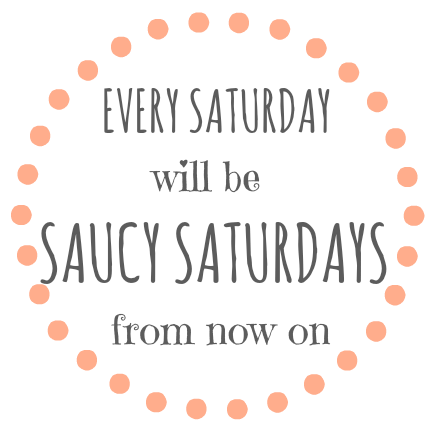 Please visit her beautiful blog and let’s give this talented, enchanting blogger a warm Saucy Saturday welcome. Ummm…how is it May already?!? How are we suddenly face-to-face with Mother’s Day, Memorial Day and GRADUATION season? It’s just impossible. And, yet, it’s real. Let’s simply decide to slow down time today. Just a little bit. We, your hosts, encourage you to browse through the links below and engage with your fellow bloggers. They’re doing fantastic things. Take a moment to dip into this creative and inspiring community. Revel in each other’s accomplishments. Make a new friend or reconnect with an old one. You’ll be glad you did. And now, meet your hosts. Get ready for the shout outs too as we will be reposting some of your posts randomly on our IG feeds!! 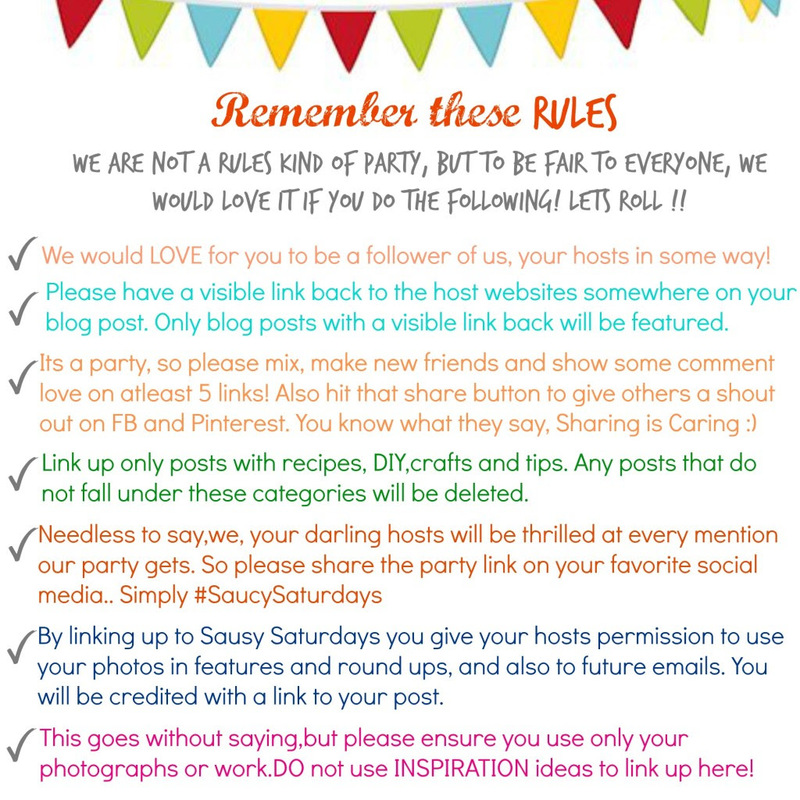 Do join us there and tag us #SaucySaturdays to share your party posts!! Sorry you had a problem commenting Jhuls. Thanks for being persistent. I’m glad you’ve joined us again! Can’t wait to see what you brought. My pleasure Winnie. Glad to see you here. You’re very welcome. So happy you’ve joined our little party!